Yoga was invented by men and for men, and many of its traditional practices embrace the qualities of male bodies. However, it has evolved over time and enchanted millions of women around the world. The female body responds to some practices in a very specific way – women, naturally more flexible than strong, may lack certain moments and tips in our practice that men simply do not have a need for. The potential for strength in our bodies does not only come from our muscles. 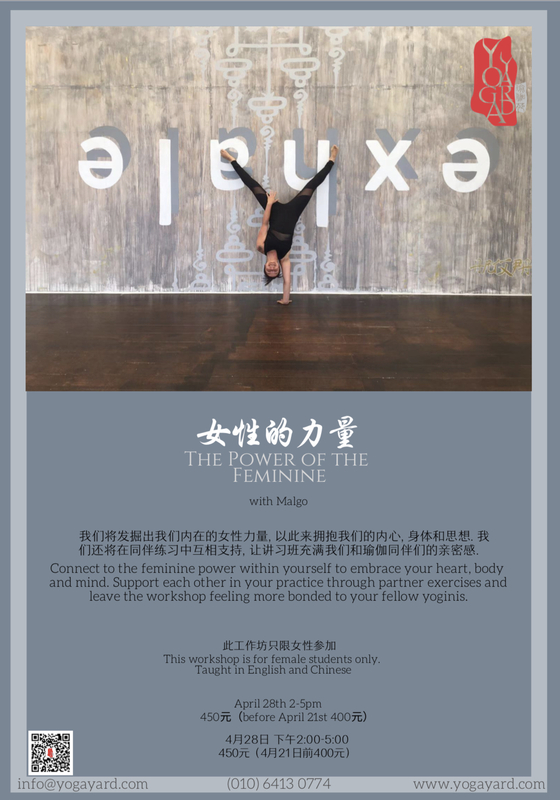 Join Malgo for a beautiful afternoon of feminine power, grounding, building strength and connection to find out more. We will explore specific poses that are thought to require a lot of power and find ways to break them down to make them more achievable through progressions. We will connect to the feminine power within ourselves to embrace our hearts, bodies and minds. We will also support each other in our practice through partner exercises and leave the workshop feeling more bonded to our fellow yoginis. This workshop is for female students only. Malgo has been dancing from a very young age but found yoga ten years ago after a car accident she was involved in. Yoga healed her broken bones and gave her a new sense of power and focus. In her practice she focuses on challenge, self-care and growth. She has been teaching yoga for 5 years. She completed her Teacher Training with Yogi Sivadas in Mcleodganj, India. 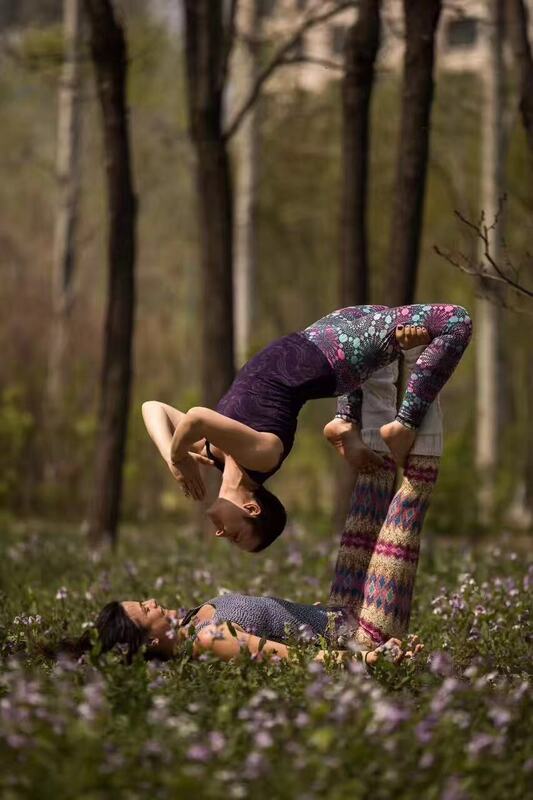 She is also a certified acroyoga and acrofit instructor and did her trainings with the founder of acroyoga, Jason Nemer. Should I cancel my attendance more than 30 days before the program start date, a refund(including deposit)will be given,minus processing fee.Processing fee is 10% of total amount paid. Should I cancel 10-29 days before the program start date,a refund(not including deposit) of 50% will be given.Deposit will not be refunded.Should I cancel less than 10 days in advance of the program,no refund will be given.